Sports Life – Serious sport begins at 16 years of age. On average, retirement from sport is around 29 years of age. This age demographic represents 32% of the road deaths this year = 52 fatalities (as at 11/08/12). 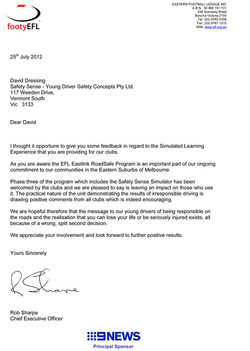 SAFETY Sense visits Clubs to take their players through a series of scenarios, with an emphasis on texting whilst driving, wet weather driving, speed and impairment. 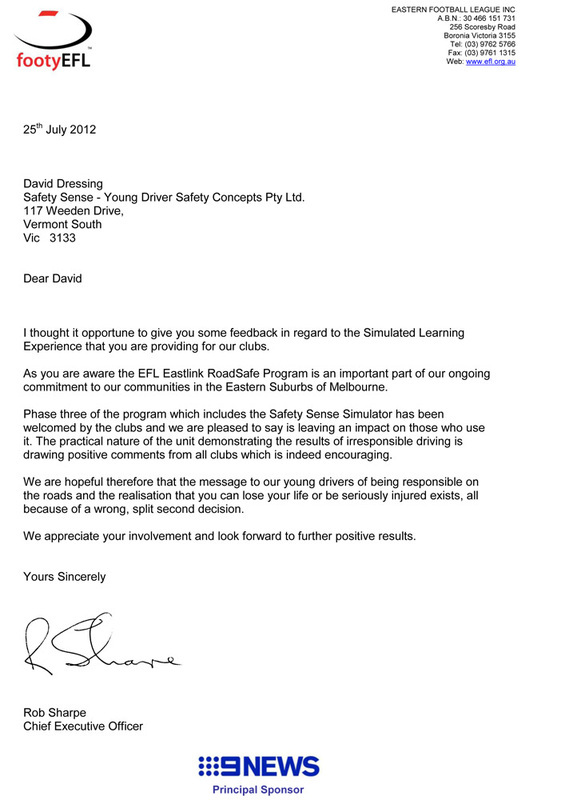 Questionnaires are answered before and after simulator use. Example - So far 500 footballers in the EFL have taken part in the program. Before the simulator, speed is shown low in the ranking most likely to cause a serious road crash. After the simulator – speed shows HIGH.